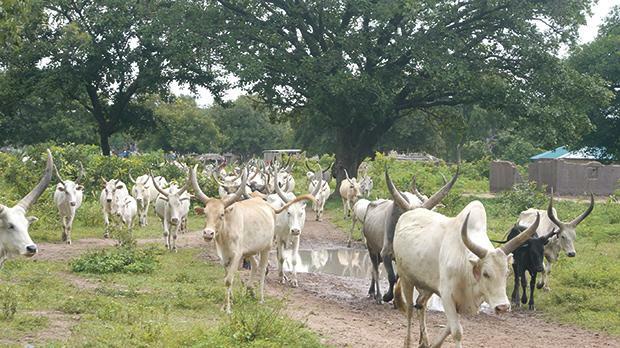 In Rumbek, South Sudan, the Jesuits built an agriculture school, where they taught people how to grow their own food. In just a few days, the provincial of the Maltese Jesuits, Patrick Magro, flies to London where he will be running the London marathon to help raise funds for two projects the Jesuits are planning in Uganda and India. Fr Magro, 48, will be facing the gruelling 42-kilometre race with 41-year-old Mario Farrugia, an accountant by profession. Both are not newcomers to long-distance running. 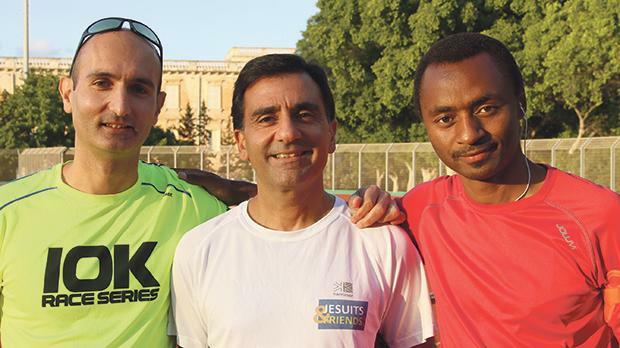 Fr Magro is a keen long-distance runner, having twice completed the Malta Marathon. They trained with Mark Kimario, a young Jesuit from Tanzania currently at St Aloysius College, Birkirkara, who unfortunately had to drop out of the marathon due to knee problems. 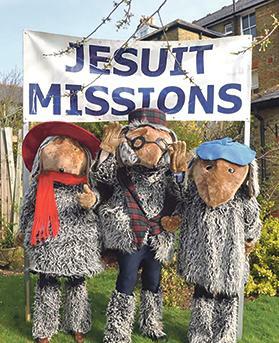 Fr Magro will be running dressed as he has never before: in the hot, fleecy costume of a Womble, a storybook character. The Jesuits are trying to collect £100,000 to complete both projects. Fr Magro, the rector of St Aloysius College, said that running the marathon was not as gruelling as the pain and suffering people in India and Uganda must endure every single day. “In these countries, you have many who walk from 3 to 6am to go to school or walk three or four hours to get food or water for their family. This is something they have to do, not like the marathon, which I have chosen to run,” he said. Fr Magro will be wearing the hot, heavy costume of a Womble, a storybook character, during the marathon. Fr Magro will be running with a group of 20 people from Jesuit Missions UK. He said that the £90,000 collected last year were used to open a school of agriculture in South Sudan, to get teenagers away from the army. The money was also used to fund land used by the pupils to cultivate and put into practice what they were learning in school. Fr Magro trains four times a week, running 20 kilometres every session in the early hours of the morning. The London marathon, one of the world’s most famous sporting events, is well known for its fundraising aspect and will be held next Sunday. Jesuit Missions is the official international development agency of the Jesuits in Britain, supporting vulnerable communities in Africa, Asia and Latin America. Jesuit Missions work in partnership with other Jesuit organisations and accompanies more than 17,000 Jesuits who put their faith into action in the field. ▪ £26 could pay for a secondary school student’s academic materials, books and supplies for a year in a Ugandan refugee centre. ▪ £50 could pay for the stipend of a project coordinator in the women’s leadership programme in Darjeeling, India. ▪ £100 could pay for learning materials for 15 English language pupils for a year in a Ugandan refugee centre. ▪ £300 could pay for tuition fees for a primary school student for a year in a Ugandan refugee centre. ▪ £500 could pay for a leadership training course for a woman in Darjeeling, India.